Из этой статьи вы узнаете от политическом устройстве Соединенного королевства (the political system of the UK of Great Britain and Northern Ireland). Прежде чем читать эту статью, выучите список английских слов по теме The Political System of Different Countires. Фото английской королевы Елизаветы II сделано в Лондоне, 24 октября 2014 года при посещении Музея Естествознания. The UK is a constitutional monarchy and a parliamentary democracy. She doesn’t rule the country, has ceremonial function; signs bills. The prime-minister is the head of the government. He is the leader of the party with the majority seats in the House of Commons. The House of Lords consists of 651 MPs (elected). It makes laws. The House of Commons consists of 1203 non-elected peers. It can delay bills and ask for rewriting certain parts. The head of the both Houses of Parliament is the Queen. She is also the head of the executive branch. The legislative power belongs to Parliament. It makes laws. The House of Commons is more powerful: it decides national policy. The House of Lords has little political importance. Real power in the UK belongs to Parliament and the Government. The term “constitutional monarchy” means that GB is governed by Parliament, and the monarch is Head of State. The Queen has very little power. She has to put her signature on new laws even if she doesn’t like them. Her most important function is ceremonial. The Queen is a symbol of Britain’s long history and tradition. On great occasions she is driven through the streets in a golden carriage, guarded by soldiers. She represents Britain when she meets other heads of state. Every autumn she opens the Parliament. Every year she speaks on TV on Christmas day. She opens new hospitals, theatres and museums. After disasters she send messages to the families of the victims. 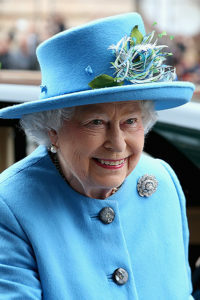 The Queen of GB is also the Head of Commonwealth and also the Queen of Canada, Australia, New Zealand, etc. The Commonwealth is an association of former members of British Empire (British colonies) and Britain, which was formed in 1949. What functions has Parliament ? What function has the Government? What does the term constitutional monarchy means? Why does the House of Lords have little political importance? What do the letters MP stand for? Is the Queen of the UK also the queen of some other countries? Do you think the idea of monarchy is out-of date? The British constitution is often called the unwritten constitution because, unlike the constitutions of most other countries it is not a single documents, but a set of laws. The first British constitution was Magna Carta which the King John was forced to accept in 1215. Its fundamental principles formed the base of the present one. Some information about Royal family. 2. Queen Elizabeth II became Queen in 1952. 3. Her husband’s name is Prince Philip. 5. Her favourite animals are dogs. 6. The British monarchs are crowned in Westminster Abbey. 7. There are 600 rooms in Buckingham Palace. 8. Queen Victoria reigned for the longest period. *This may sound very British, but the royal family ancestors were German. The present Queen’s great-great-grand mother, Queen Victoria (1819-1910) was born in Britain, but her mother and her husband were both German. Members of the House of Commons are elected by the voters of 650 constituencies (избирательные округа): each constituency has an elected MP. The party, supported by the majority in the House of Commons, forms the government. The second large party forms the Opposition (the Shadow cabinet). The two main parties are the conservative party (the Tory party) and the labour party (консерваторы и лейбористы). Since the eighteenth century, the two parties have sat facing each other in the House of Commons. There are some other parties: the Liberal Party, the Party of Liberal Democrats, the Social Democratic Party, the Scottish National Party, the Welsh Nationalist Party, the Communist Party of Britain, the Communist Party of Great Britain. 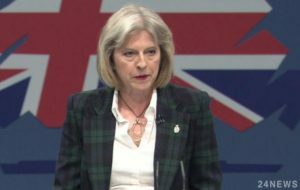 The present Prime-Minister is Theresa May (the leader of Conservative Party). The Prime-Minister lives at 10, Downing Street. The letters ‘MP’ means the ______________________. The members of the __________________are not elected. 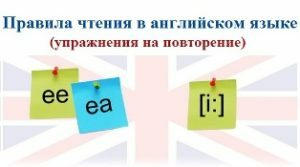 The UK is divided into constituencies (избирательные округа) that have their representatives in the ___________________. In the UK ___________________is held every four or five years. The party which wins the Majority of seats in the General Election forms the ____________. The members of the party of Parliament that didn’t win the election form the_____________ to the Government.